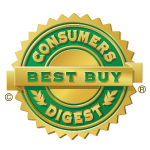 Providing clean, contaminant-free water every time you turn on the tap. As the saying goes, water is the elixir of life. In one way or another, it is part of virtually everything we eat and drink. Up to sixty percent of our body is made up of water, and without it, no living organism can survive. In the past, most of us gave little thought about our drinking water. However, as we learn more about the prevalence of contaminants in our region, many New Hampshire homeowners are using reverse osmosis systems to ensure the quality and safety of their drinking water. How does a reverse osmosis water treatment system work? Reverse Osmosis systems take advantage of the concept of osmosis, where water passing through a semi permeable membrane changes the concentration of dissolved elements. With a reverse osmosis (RO) water treatment system, water is forced against the membrane, under pressure. The contaminants are rejected by the membrane and only water passes through. This technology greatly reduces the total dissolved solids (TDS) in the water. When combined with other filtration technologies, certain RO systems can remove protozoa, bacteria and viruses. At Secondwind Water Systems, we install Kinetico reverse osmosis water treatment systems, which remove more contaminants than any other drinking water system out there. Even if you are on a municipal water supply, you can still benefit from an RO system. It will improve the taste of your drinking water by removing excessive levels of chlorine and other disinfectants (used by municipal systems to destroy bacteria, parasites, and other harmful elements). Contact us to discuss the best Kinetico RO treatment solution for your needs and budget. 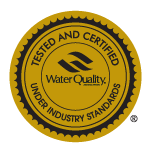 When it comes to the safety and quality of your drinking water, you can trust the certified water experts at Secondwind Water Systems. We’ve been providing home water treatment systems throughout New Hampshire for over 30 years, so chances are, we already know which contaminants you should be looking for in your region. Give us a call at 603.641.5767 or contact us online to schedule a water analysis. We’re here to help.